Watch the films at home—or anywhere you may be—and then come back to discuss the films here on BLDGBLOG. It’s a “distributed” film fest; there is no central venue, just a curated list of films and a list of days on which to watch them. There’s no set time, no geographic exclusion, and no limit to the food breaks or repeated scenes you might require. And it all leads up to a public discussion at Studio-X NYC on Tuesday, April 24. The overall idea is to discuss breaking out and breaking in as spatial scenarios that work as mirror images of one another, each process with its own tools, techniques, and unique forms of unexpected architectural expertise. How do prisoners and burglars reinterpret the built environments around them? Where does this more aggressive understanding of space differ from the constructive insights of an architect—and how can a building be strategically unbuilt so as to get at what lies on the other side? What particular kinds of spatial and temporal knowledge—where to tunnel, when to go—do these other users of buildings need to develop? Breaking Out and Breaking In is currently underway but it’s not too late to follow along! I expect to be joining the conversation in the comments section over at BLDGBLOG and, in a few weeks, will hopefully have an essay or two of my own to contribute in a more official capacity. 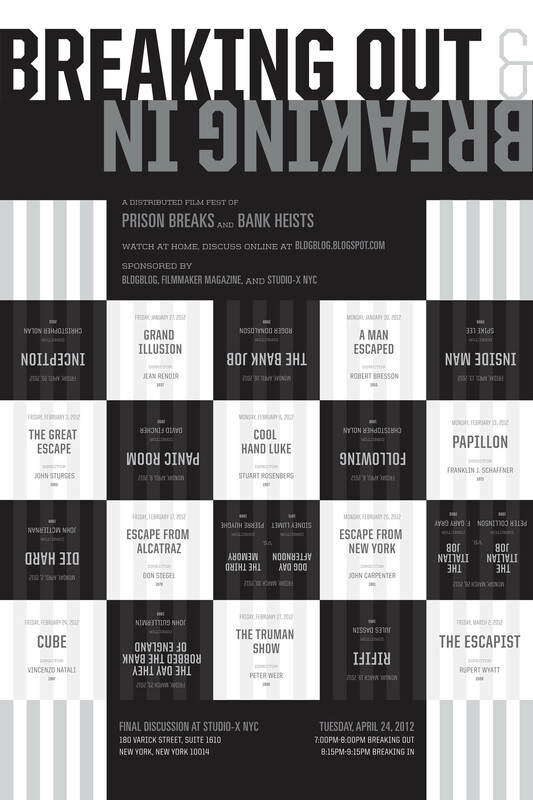 For more information on the event and examples of architectural heists see the full announcement at BLDGBLOG.